His operation blocks, from posting articles, anyone who exposes the aristocracy’s control over — and Democratic Party incumbents who service — the aristocracy; however, if the given submitted article exposing someone as being such a servant to the aristocracy, is being posted after the subject’s electoral career has ended, then a writer who exposes that Trojan Horse ‘Democrat’ as having been a fake, generally isn’t blocked from posting further articles and comments — Moulitsas is normally concerned only to manipulate Democratic Party primary election-results, and he therefore usually has no interest in blocking the truth about a Trojan-horse fake ‘Democrat’ after that person’s electoral career is over. His editors will let an article like that through. For example, on 28 May 2016, he was arguing that Hillary Clinton had already effectively won the Democratic Party’s nomination and that everyone who had voted or would subsequently vote in Democratic Party primaries should thus rally around her in the general election to beat the Republican nominee, whomever that would turn out to be. He was ignoring (though he knew well; he’s a highly sophisticated person, with extensive background in the CIA, including even in its death squads in El Salvador when he lived there) that she might be indicted after the Democratic National Convention is over (July 28th) but before the November 8th general election, which would then inevitably hand the Presidency to whomever the Republican nominee would happen to be — but, from the CIA’s standpoint, that would be okay, and so “Kos” isn’t averse to an outcome such as that. What would actually disturb the aristocracy (and thus him), a great deal, would be for Sanders to win the Presidency. Kos is utterly dishonest here. Bernie is asking the superdelegates in states he *won* to support him, not Hillary. The linked piece *never* says that Bernie asked superdelegates to abandon Hillary in southern states that she won. Bernie does not argue that the votes of southern state Democrats that went for Hillary should be ignored. Kos, you should be ashamed of yourself. This is disgusting. “Fish Out of Water” was the type of person who could well become blocked from posting future articles and reader-comments there. Generally speaking, the falsely-called ‘liberal’ (some even call it ‘progressive’) website dailykos (founded and owned by the ‘formerly’ far-right Markos Moulitsas Zuniga) has ignored President Barack Obama’s coup a year ago in Ukraine, which violently overthrew that country’s unpopular but democratically elected President and replaced him with a racist-fascist (i.e., ideologically nazi) anti-Russian regime. It’s a regime that quickly set to work on a euphemistically called ‘Anti Terrorist Operation’ in its far-eastern region Donbass, where the voters had voted 90% for the very same man whom Obama’s State Department and CIA had just overthrown — an ‘Anti Terrorist Operation’ that kills its ‘Terrorists’ (i.e., the residents there) en-masse by firebombing, cluster-bombing, and shelling, the cities, towns, and villages, throughout the region. 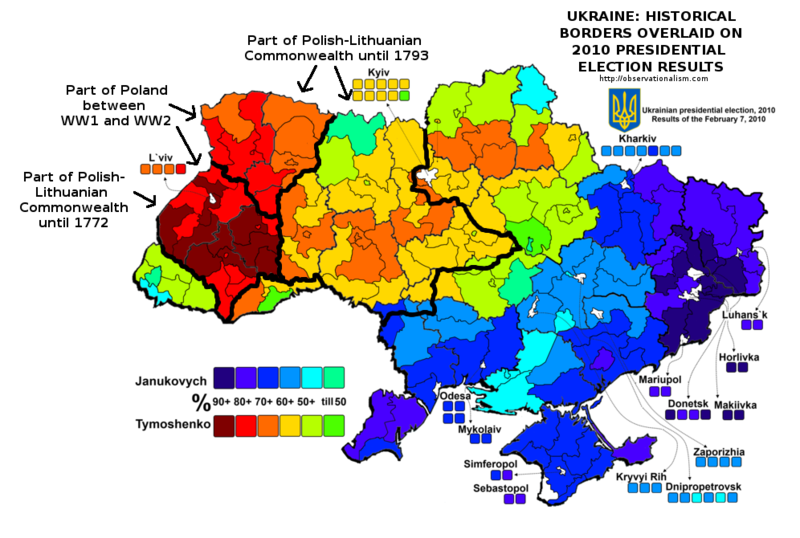 If those people survive and vote in future Ukrainian national elections, the nazi regime that Obama installed will be voted out of power; Obama’s 2014 Ukrainian coup will have been for naught. This is why he demands extermination, doesn’t object to it at all. Also, the “Reply” button now became absent on the site’s reader-comments. There had been no notification from the management that I had been blackballed, much less why I had been, nor even that I had been. It was impossible to communicate with them.